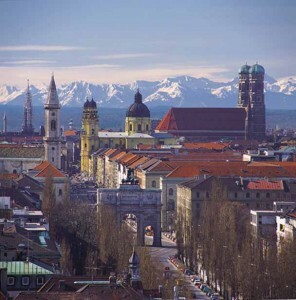 For the ultimate roadtrip, head to Munich. 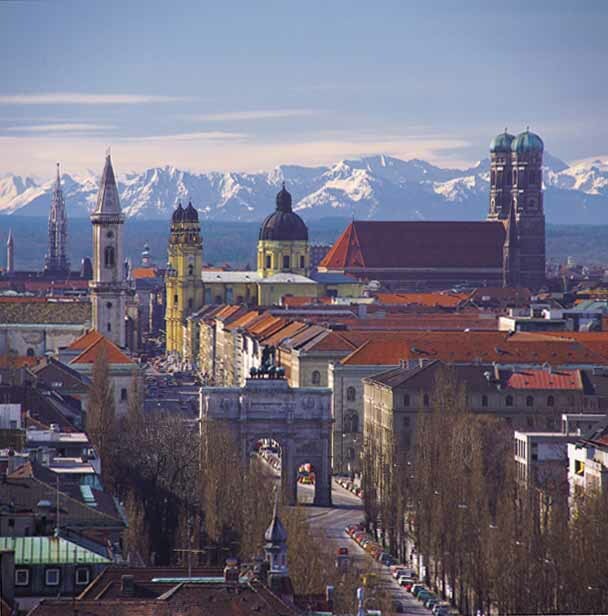 While images of Route 66 in the USA might spring to mind when thinking of destinations for a driving holiday, Munich is home to the stunning Romantic Road – and I think it’s well worth discovering. I love going to places that are new and different, and Germany is one country that I’d like to see more of. The Romantic Road sounds like a route for loved-up honeymooners only, but its name actually refers to the fact that the locations it passes through are beautiful. Of course, there’s nothing wrong with coming here for a romantic roadtrip with your partner, but it’s also fantastic to travel along with a group of friends or your family. Just make sure when choosing a hire car in Munich that it’s big enough for you to comfortably relax in and store all of your luggage. If you’re travelling with young children, you’ll also want to check there’s plenty of space for car seats if required. Practicalities out of the way, let’s concentrate and what you can actually see and do when driving along the Romantic Road. This 400-km stretch starts in Wurzburg, a historical and cultural town located next to the Main River that, in my opinion, deserves being at the starting point of the road. If you are only to do one thing here – not that I recommend that! – make it a visit to the Residenz Palace, a UNESCO World Heritage Site. Built between 1720 and 1744, the building is regarded as one of the best baroque palaces in south Germany. There’s also a tour of the Franconian winegrowing region, the Old Main Bridge lined with statues of saints and the Marienberg Citadel to keep you occupied here, so remember you do need to hop into your car at some point to continue the roadtrip. As you drive along Romantic Road, your next stop is likely to be Weikersheim. The town is famous for its Renaissance palace and Baroque garden, and if you time your visit to coincide with one of its outdoor summer concerts, you can enjoy live entertainment as you bask in the sun. The marketplace should also be on your itinerary, and this is where much of Weikersheim’s hustle and bustle takes place. Hunt for a bargain at its antique flea market, before enjoying a glass of local wine and a mouth-watering meal in one of the market’s outdoor restaurants. Creglingen is the next major destination you’ll come to as you drive along the Romantic Road, although with so many attractions in the surrounding area, such as nature parks, you’re easily forgiven for wandering off track a little. Next up will be the stunning city of Rothenburg, which is often described as the most well-preserved medieval town in all of Germany. The best way to see its architecture for yourself is to walk along the wall that encircles the city. You will spot highlights such as Rothernburg Town Hall Tower, which is well worth ascending for even better views. Pfaffenwinkel is another destination you will more than likely explore, before ending your journey at the Romantic Road’s final stop – Fussen. There are lots of things to see here, but the area’s castles (and most notably Neuschwanstein) are what most people come to this corner of Germany for.